. Help people understand pain & illness, even if you look fine to them. You can help people understand pain & illness. Do your loved ones have a hard time understanding your chronic illness or pain because to them you look fine? But You LOOK Good! 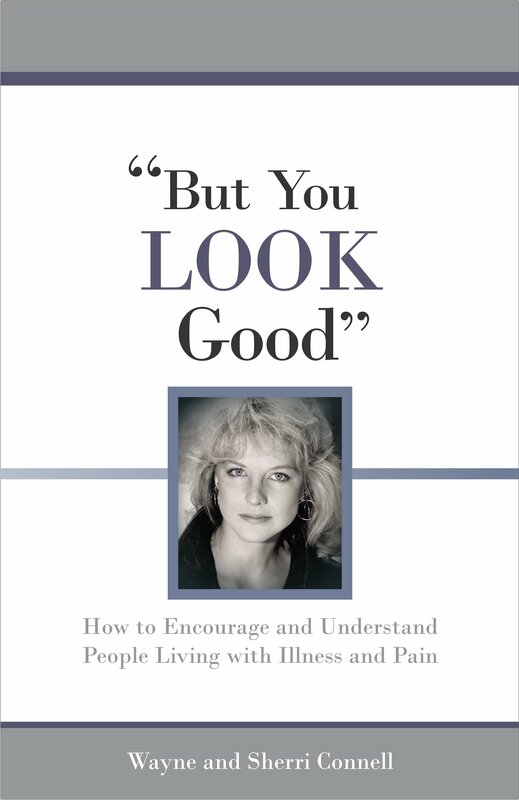 is a book that gives those living with chronic illness and pain a voice. It expresses how they feel, what they need and how others can be an encouragement to them. This book is a convenient, informative way to educate everyone about what people living with ongoing illness and pain struggle with, fight for and need from their friends and family. It is easy to read, gives practical ideas on how loved ones can be supportive, and is short enough to keep the readers interested. An important tool for caregivers, family & friends. Help people understand pain & illness. See what others are saying about But You LOOK Good! and how it can help people understand pain & illness. Families Find Healing and Shared Understand After Reading But You LOOK Good! Read more comments about But You LOOK Good! Read the excerpt from Part One of But You LOOK Good!